Electronic ebook format. 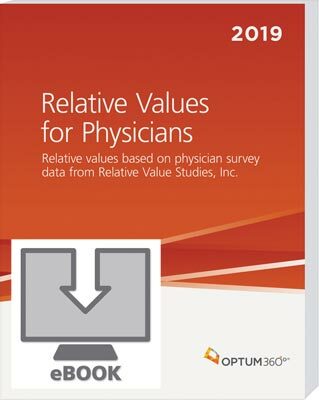 Complete relative value system established by surveys of physicians in all specialties, nationwide. A full spectrum of CPT codes are valued, not just those developed for Medicare, allowing for the development of a complete fee schedule and provides a methodology for measuring productivity.